I’m a health/wellness/personal development junkie. Learning more about health, nutrition, how we tick, how we love, how we feel, how we grow just gets me so excited. I’ve loved personal growth since I was young, I definitely took the Myers Briggs test from the Please Understand Me book my mother had. I came to health and nutrition later, and gobbled information as much as I could to get informed and because I just love learning. I’ve been a voracious reader since I was a little kid, and as I got older, I started to learn from audiobooks and podcasts. I love listening to information while I’m cooking, at work doing something pretty straight forward, cleaning, or in my car (which in LA is a lot). If you follow me on Instagram and watch my Instagram stories, you know I love podcasts, a lot. I like that familiar voices tell me something new, make me laugh, or reinforce what I know each week. I have learned so much from podcasts, and if you learn best from listening, you can get your learning on too! I’ve been listening to some of these podcasts for years and some of them are made by my amazingly talented friends. Do you have a favorite podcast that isn’t on this list? Comment below and let me know what it is! Harder to Kill Radio is by Steph Gaudreau of the blog Stupid Easy Paleo. In addition to blogging, Steph is an Olympic weightlifting coach, health coach (and soon to be NTC, which is from the nutrition school I went to), and author of The Paleo Athlete and The Performance Paleo Cookbook, and all around badass. Harder to Kill is an awesome mix of fitness, nutrition and mindset people talking with Steph and sharing their wisdom with you to make you more resilient and Harder to Kill. I love the variety of guests she has, and a lot of them have been new to me. After listening to a certain genre of podcasts, it can be very common to hear the same guests across lots of podcasts. Steph keeps it fresh, and has some guests from Australia/New Zealand, and accents make everything more enjoyable. If you want to learn from a lot of different people and see a wide range of approaches on you can live a healthier, fulfilling life, Steph delivers them to you. How Long: Around an hour. 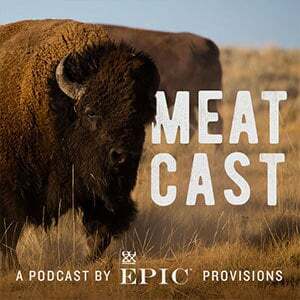 Epic Provisions, the company behind the original meat bar, has its own podcast. Made by one of their employees, Eric Le (who is super nice! I’ve met him), The Meatcast interviews people who also share their mission to live healthy lives and give back to planet. I have learned so much from this podcast about regenerative agriculture and who’s leading the charge with Epic to bring about that change. They also interview people in their company after that main interview to give you a look behind the scenes, which reinforces the idea that they’re good people doing awesome things. If you want to learn more about soil, regenerative ag, sourcing, and companies who lead with their ethics, this is the podcast for you. How Often: Every other week. Namaslay is a podcast from Candace Moore of the YouTube Channel and blog, YogabyCandace. Namaslay is also the name of her amazing yoga book. In her first season, she shared an array of topics, from her story, how she grew her business, listener questions, health and fitness, and of course, yoga. I like that her podcast is rooted in yoga and yogic philosophies, but is about so much more than yoga. It’s also very approachable. It’s easy to find yoga people that are a bit holier than thou, and that is not Candace at all. Each episode is Candace talking directly to you. If you like yoga you’ll like this podcast, and even if you’re not super into yoga you can appreciate it. Season one wrapped earlier this year, and hopefully season two comes out soon! How Long: 15 to 40 minutes. How Often: Was once a week. She Thrives Radio is a companion to the blog She Thrives, which is written by Taylor Gage. Taylor is an awesome, multi-talented human being. She’s a personal trainer, nutrition coach, blogger, and amazing portrait photographer. She Thrives launched this year and is already KILLING IT. Most of the time, her episodes are just her, talking straight to you. Listening to Taylor is like hearing advice from a good friend who tells it to you straight and filled with love. Taylor’s background is about the gym life, and certain podcasts do frame things in the context of the gym and crossfit. But, I would say don’t skip those episodes! You can easily apply the ideas she’s talking about to other parts of your life, not just in the gym. Autoimmune conditions (where your body thinks normal cells are invaders and starts attacking them) are on the rise these days, and thankfully so are ways to naturally address them. 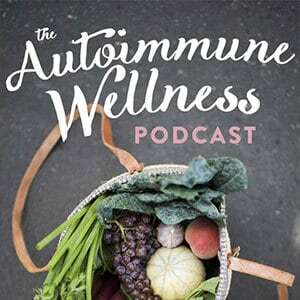 Mickey Trescott, NTP and Angie Alt, NTC are some of the OGs in autoimmune world, helping bring the autoimmune protocol (an elimination diet to help figure out triggers and heal from conditions) into bigger prominence with their website Autoimmune Wellness and their books. I’m late in the game to their podcast, but I’m loving their latest season, which focuses on eating real food on a budget while on AIP. While I haven’t tried the AIP protocol yet, I love learning about it, especially for if and when I recommend it to a nutrition client. Their advice this season is also relevant to anyone looking to eat real food, whether you’re doing AIP or not. The latest season has Mickey and Angie talking with each other and interviewing guests. How Long: Anywhere from 30 minutes to an hour. 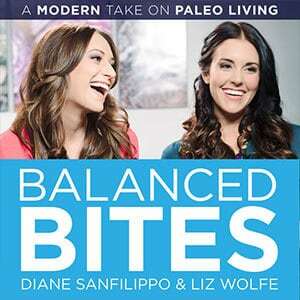 Balanced Bites is the team of Diane Sanfillippo, CNC and Liz Wolfe, NTP. 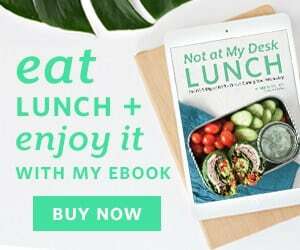 Diane is the creator of the 21 Day Sugar Detox (which I’ve done and shared my thoughts on here) and author of Practical Paleo. Liz is the author of Eat the Yolks and the soon-to-be-updated Purely Primal Skincare Guide. The ladies answer listener questions, give updates about their lives and evolving philosophies on a variety of topics. They do have interviews with bloggers and nutrition professionals, and usually one of them does that interview. They have a HUGE archive covering specific nutrition topics and health issues. Those episodes are much longer than their shorter, 35 minute format. How Long: Newer ones are around 30-45 minutes, older ones are an hour plus. Food and meals are awesome, I mean this is a food blog and all, but life is about more than that. There’s the space between meals that fills up the rest of our lives and how we go about living that. Beth Manos Brickey of the blog Tasty Yummies is here to talk about that very thing with the podcast, Between Meals. A fellow NTP and friend, Beth is keeping it real talking about health, nutrition, mindset, and why one way of being doesn’t fit all. Her husband, Mark, is a full-time podcaster, and joins her on most of the podcasts. Together they bring a grounded, light, and real approach to wellness. Beth also shares her sessions from conferences, which are super helpful for other NTPs or those in the online wellness space. This is the earlier days for this podcast, and I cannot wait for more. Nutrition talk can get overwhelming. With the terms, bodily processes and all of those long and confusing names, you can easily just glaze over a lot of information. Allie Hobson of Barefood Nutrition (another fellow NTP and awesome friend) and Chelsea Gross, CTNC are here to explain things in plain English and keep it light and fun with the Nutrition-ish Podcast. Both ladies come from slightly different nutrition backgrounds, which brings a great perspective to the show. Allie works a lot with autoimmune and thyroid issues, and Chelsea has a background in working with disordered eating and the equally important emotional aspect of eating. The two of them answer listener submitted questions and take turns covering topics. Listening to Allie and Chelsea is like checking in with a group of supportive girlfriends, the kind that will chat with you over brunch and be there for you when times are tough. 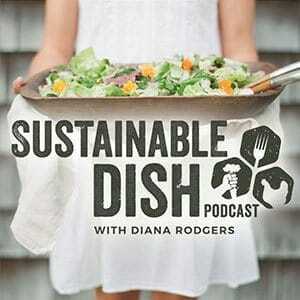 I had heard Diana Rodgers, RD (and NTP) of Sustainable Dish on other people’s podcasts over the past few months, and after she announced her crowdfunding for her documentary Kale vs. Cow, I was in. Diana lives on a working farm, sees nutrition clients AND is working on a documentary that shows why red meat is a part of a healthy diet. Her podcast interviews other farmers, ranchers and nutrition professionals to talk about their expertise. More and more, her podcast addresses sustainable and regenerative agriculture as well as the facts behind eating meat. If you’re interested in learning about where your food comes from, definitely check this podcast out (as well as The Meatcast). The Lively Show is an ever-evolving show that is growing and changing as the host, Jess Lively, grows and evolves. Jess Lively used to be primarily a blogger, had a jewelry line, did design, and focused on intentional living. She launched her podcast and interviewed people on how they lived intentional lives. Since the launch of her podcast, gone through a lot of personal and professional changes, the biggest being ending her marriage and traveling for 18 months alone, around the world. She’s evolved into teaching about flow and the Law of Attraction (she refers to herself as an Abrahamster) via her podcast and online course. Most of her recent episodes are just her talking to you, with some interviews and conversations with others sprinkled in. This newer chapter of the podcast definitely has moments over my head (quantum mechanics does make me glaze over a little bit), but the overall idea of Law of Attraction makes sense to me. 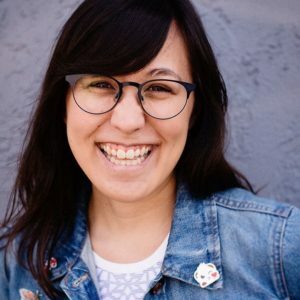 Even if you’re not really into Law of Attraction but love the idea of intentional living, the earlier episodes of her podcast can really resonate with you. How Long: Around 45 to an hour. Marie Forleo is the founder of B-School, an online program that helps you figure out how to create your online business or how to make it grow and thrive. Her podcast is a repackaging of her popular show on YouTube, MarieTV. Which is perfect for me, because listening to podcasts is way easier to do at a day job than watching YouTube. Her shows cover more business and entrepreneurial topics, but a lot of personal growth work at the same time. She’s smart, sassy and super approachable; it’s like getting advice from a cool older sister or friend. Most of her episodes are answering submitted listener questions or a single topic Marie is fired up about. She also has interviews with other entrepreneurs or thought leaders, like Brene Brown and Gabrielle Bernstein. How Long: Her single subject episodes can be from 3-10 minutes, which are great for a quick binge. Her interview episodes can be up to an hour long. How Often: New episodes appear twice a week. One is a new, the other is new as a podcast, but is an existing YouTube video. From life coach Christine Hassler, Over it and On with It is an amazing show that addresses how to work through and identify your own issues. Most episodes she’s coaching a caller on a issue they have, and often what they call in about isn’t what they’re really calling about. I have seen so many parallels to my own life in listening to some of these calls. One of them was my childhood, to a tee! I love Christine’s blend of spiritual and practical advice, as well as her kindness and ability to hold space for the callers. She also has podcasts with other coaches and thought leaders in the field and talks to them about their expertise and how what they know can help you. Sometimes those episodes can also be a meditation or her talking directly to you. She also gives advice in most of her podcasts on how to be a better coach, which I love. How Long: Most are around 30-40 minutes. How Often: She podcasts twice a week, the call-in episode during the week, and the other “Coaches Corner” podcast on the weekend. Do you have a favorite podcast that isn’t on this list? Comment below and let me know what it is!